2013 is a big year for Acura. Honda’s luxury brand introduced the all-new 2013 ILX, Acura’s new entry-level luxury sedan, earlier this year. (Then, when it arrived on the lot, we immediately posted pics on Facebook so you could get a first look! For more on the ILX visit http://butleracura.wordpress.com/2012/05/22/butler-acura-welcomes-the-all-new-2013-ilx/). Now it’s time to make room for the all-new 2014 RLX, Acura’s new flagship sedan, and the replacement for the RL. 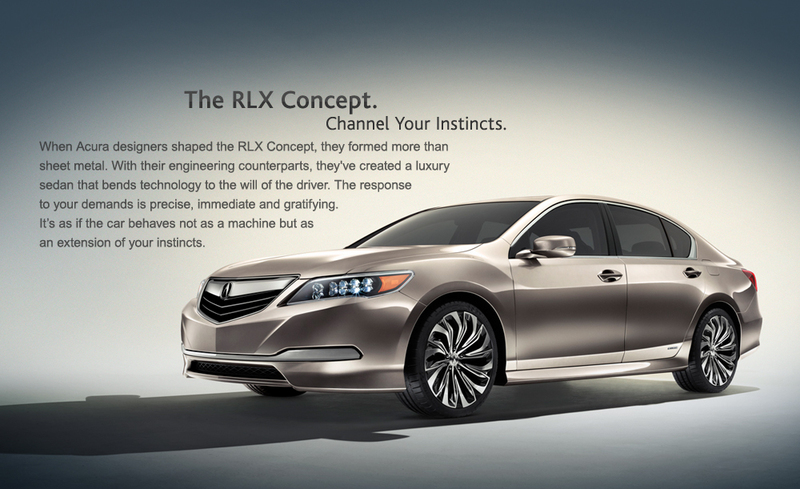 Honda debuted the RLX concept at the New York International Auto Show earlier this year. Look for 2014s to make it to the lot.